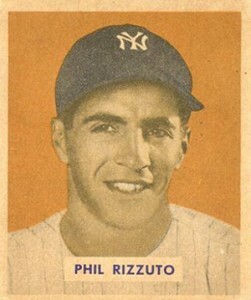 It might not be the most attractive set of cards ever produced, but that's easy to overlook once you delve into the 1949 Bowman Baseball checklist. Featuring several big-name rookies and even more key early cards, the set has plenty of star power. 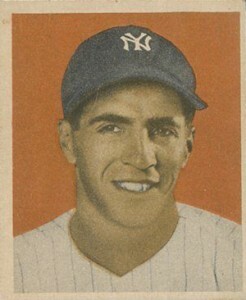 The 1949 Bowman Baseball set has 240 cards. 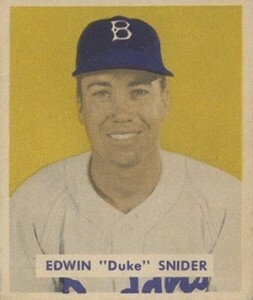 Leading the way as far as rookies go are Hall of Famers Duke Snider and Roy Campanella. Depending on the collector, some also consider this to be the home of Jackie Robinson and Satchel Paige rookie cards. It's up for debate as both are also in 1948 Leaf Baseball, which some believe didn't come out until 1949 despite its copyright. Either way, the Robinson and Paige cards, along with Snider, are the most valuable cards in the product. Cards are smaller than today's traditional dimensions. Measuring 2 1/16 x 2 1/2, they're almost squares. 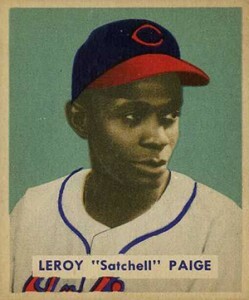 Player images are in black and white with color backgrounds. Jerseys and hats have team colors added to them, adding some much-needed pop compared to the previous year's release. Card backs have a brief writeup and player vitals. There's also a mail-away offer for various baseball-releated merchandise like rings and a bank. 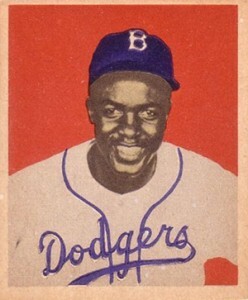 For completists, 1949 Bowman Baseball has several variations that create multiple versions of cards for certain players. 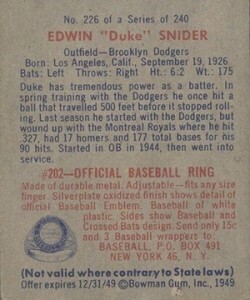 Originally, cards #1-108 came without names on the front. But starting with #109, they were added. 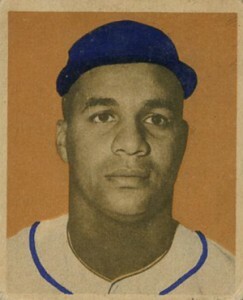 Subsequent print runs added names to the fronts of a handful of the earlier cards, but not all. The variations that have the name on the front are the rarer of the two. Other cards have a slightly different text used for their names on the backs of the cards. These cards can be found with the name either in script or block text. Finally, of the first 73 cards, it's believed that all but #4 (Jerry Priddy) can be found with either white or grey stock on the back. The following is a list of players who have variation versions. The ones listed are the rarer versions. #1-3 and 5-73 can be found with white or grey stock on the card backs. 1949 Bowman Elmer Valo #66 PSA 1 P345 Looks Better Than The Grade! !